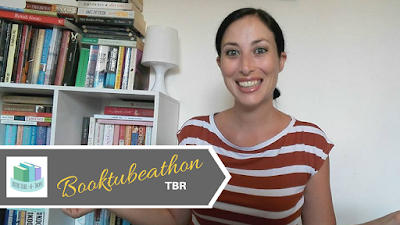 It's Booktubeathon time again... and I'm super excited. I love this event! This year the event will run from 24th-30th July. This is by far my favourite readathon of the year. 1/ Read a book with a person on the cover. 2/ Read a hyped book. 3/ Finish a book in one day. 4/ Read about a character that is very different from you. 5/ Finish a book completely outdoors. 6/ Read a book you bought because of the cover. I can't wait to find out what kind of daily challenges there will be this year too. Are you taking part this year? Do you plan on doing the daily challenges as well as the reading challenges? Is this your first time participating or have you done it before?